The 60th Annual Progressive Insurance Kansas City Boat & Sportshow is in Kansas City January 23-26, 2014. Now why would I be writing about a Boat & Sportshow in Kansas City? 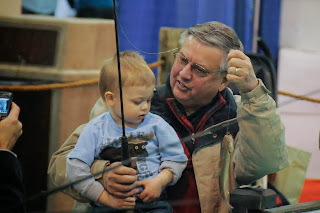 Well for one Boat & Sportshows are family friendly events....yep I often take my kids the sportsshows so they get a first hand look at all the neat stuff. Secondly, they gave me FREE TICKETS to giveaway! Wooo Hoooo! Scroll down for your chance to win. The Progressive Insurance Boat & Sportshow offers so much for visitors, much more than just roaming through the event looking at boats. This show is packed full of educational opportunities , places for kids just to be kids, and they even get the canines involved. · Gypsy Rose III Landship – Young guests can board the Gypsy Rose III Landship with Captain Tim and transform into pirates, explore the ship and participate in sword fights with other young mateys. 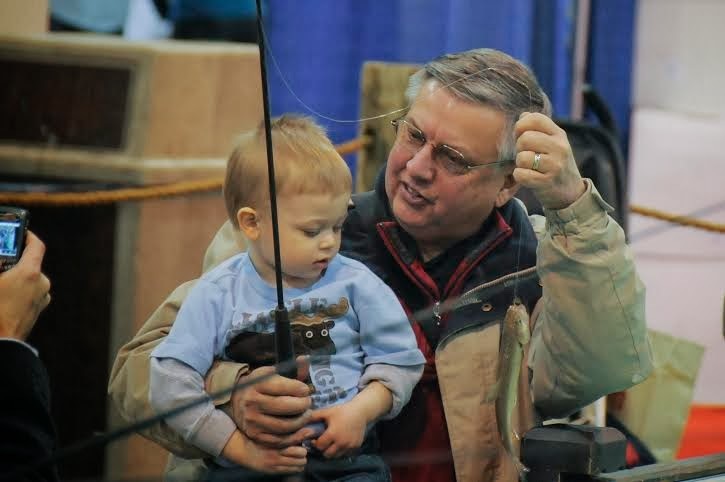 · Boating and Outdoor Classroom – Guests will learn the latest in fishing and hunting techniques from local experts in an extensive seminar lineup. 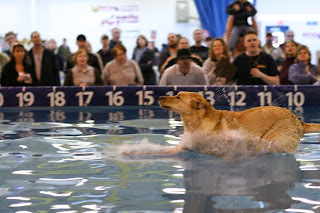 can jump the highest and furthest into a giant pool of water. · Fred’s Shed – Boat owners can attend educational seminars about maintaining, repairing and upgrading their boats. Each seminar will cover a variety of topics and demonstrations, along with question and answer sessions for the experts. · SEA LIFE Kansas City Aquarium – Young guests will enjoy viewing starfish, crabs and other sea creatures in SEA LIFE Kansas City Aquarium’s Ocean in Motion Touch Tank and Artifacts Cart. Kids will also enjoy SEA LIFE Academy, a seminar where kids can dissect a squid and learn what makes these creatures a great escape artist and a formidable deep sea hunter. · Willow Creek Trout Pond – Young guests will have lots of fun as they cast for live fish in the catch-and-release Willow Creek Trout Pond. · Texas Bass Tank – This 12-ft. tall, 40-ft long, 5,000 gallon aquarium is stocked with native fish so guests can enjoy a rare underwater view of professional fishing and casting demonstrations. Thursday, January 23: 2:00 p.m. – 9:00 p.m.
Friday, January 24: 12:00 p.m. – 9:00 p.m.
Saturday, January 25: 10:00 a.m. – 9:00 p.m.
Sunday, January 26: 10:00 a.m. – 5:00 p.m.
For more information or to book your tickets, please visit http://www.kansascitysportshow.com, follow them on Twitter at @KCBoatSportshow and join the conversation on Facebook.